Sports fanatics come in all ages. We are a big soccer playing family, but we sure enjoy all kinds of sports. Football is big, baseball is a close second with our favorite Astros, and so many other that my son and husband love to watch and talk about. It is amazing the stats and things that my son talks about and remembers. Yes, trading cards can be a learning tool. To celebrate and relive sports moments everyday, Imports Dragon has several lines of sports figures at NHLFigures.com and BaseballFigures.com that can be for the sports fanatics for any age. 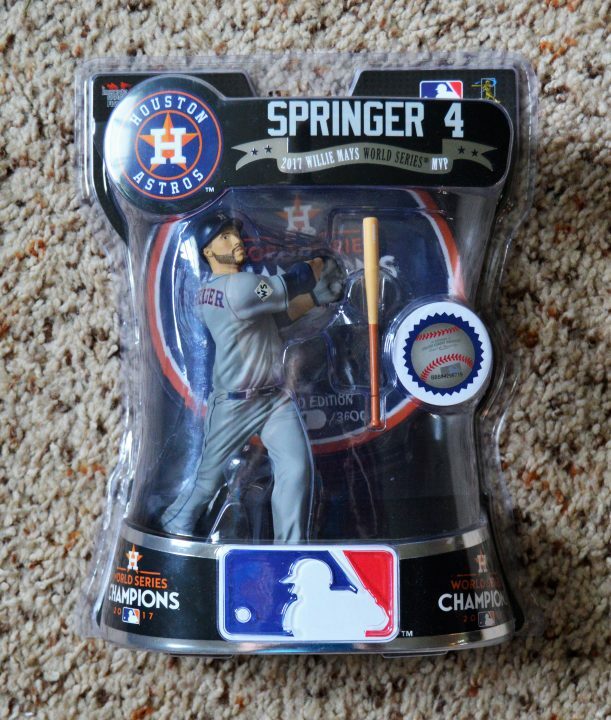 Imports Dragon sent us a commemorative George Springer Astros figure that helps us relive the memories of the 2017 season that was pretty epic for Houston. My son claimed the figure as his own to add to his trophy shelf. 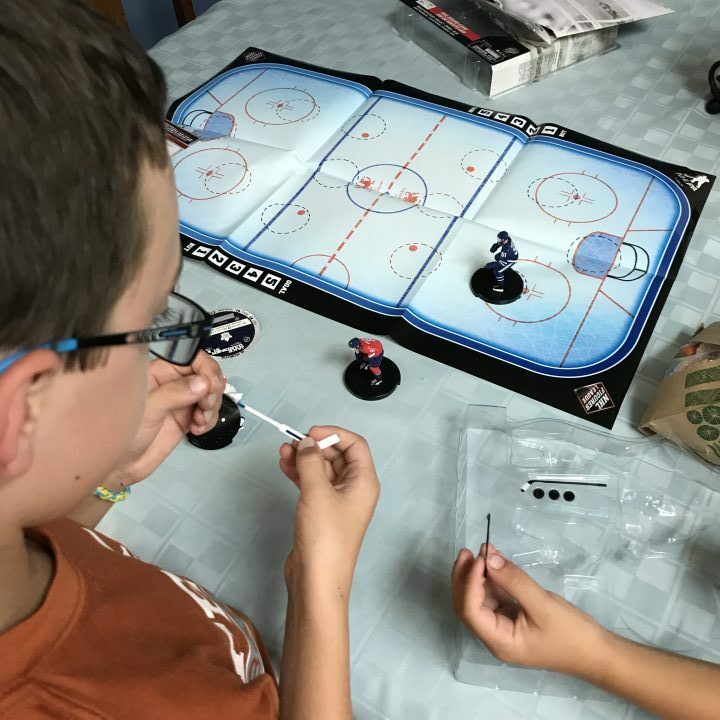 We also got a set of their mini hockey players that comes with a game and playing pieces. 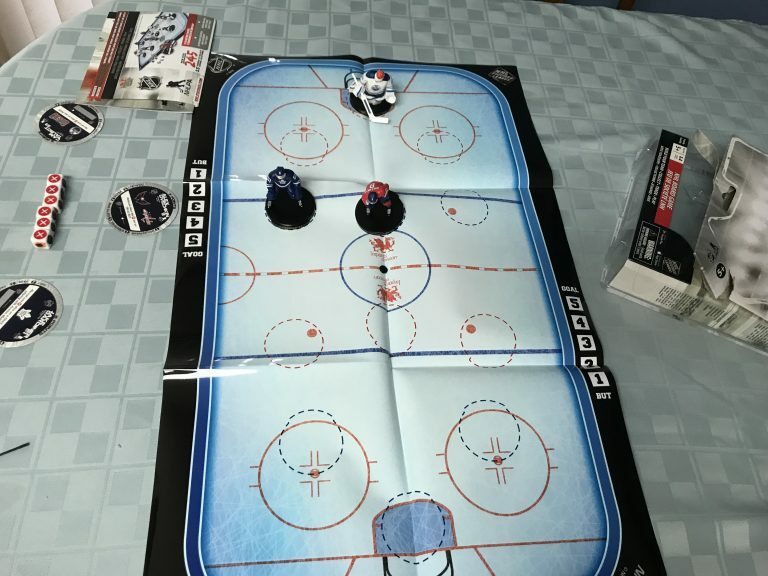 Kids(adults) can collect all of their favorite players and create their own hockey game. 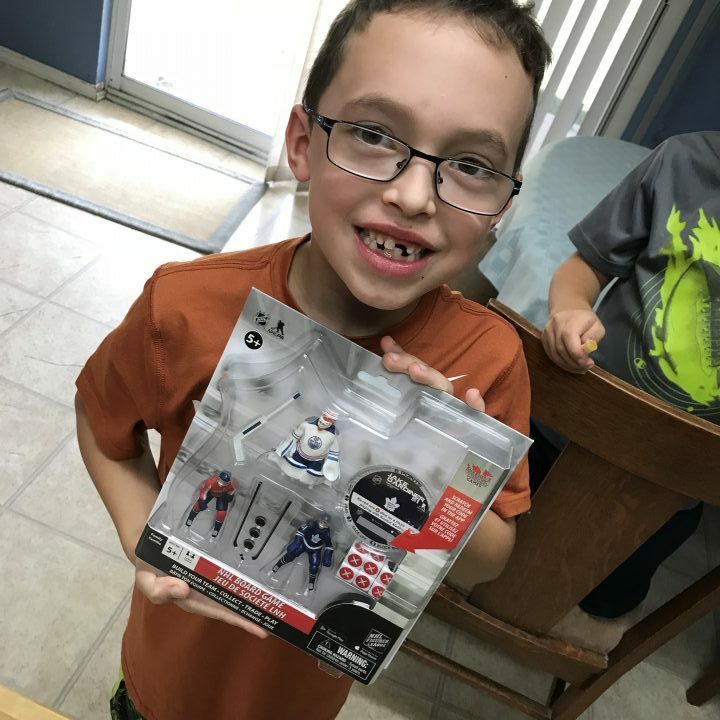 My nephews are big hockey fans so we gave him the set with his favorite player Ovechkin. We already have plans to get him some more sets for Christmas. Whether you have a baseball lover or hockey fan, you can search for players past and present to make a perfect gift for sports fanatics.